The first graph shows the overall attendance (based on % half days) for the school. The graphs next to it show the students who have achieved Level 1 Literacy, UE Literacy and Numeracy. The graphs below them show the % of students who have achieved Level 1, 2 and 3 Pass with Achieved, Merit or Excellence. Hovering over any area will give you a list of students names associated. The filters on the left allow you to filter down the groups being looked at. 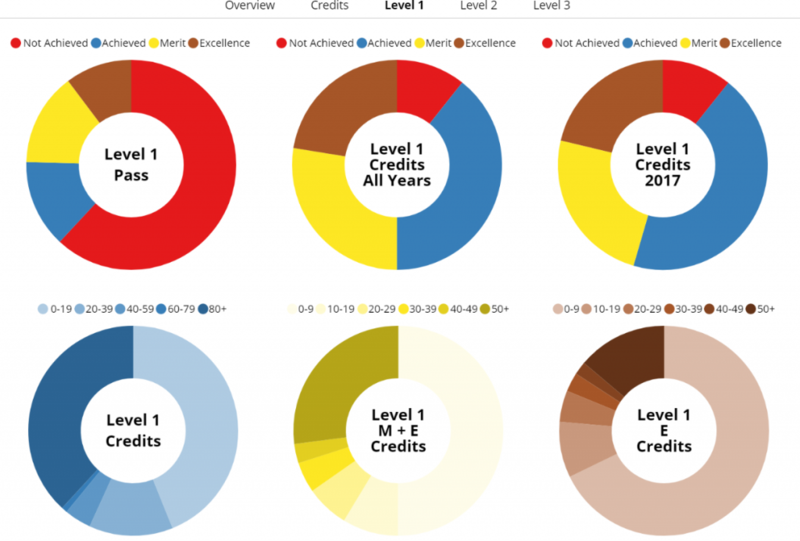 In the top row above, the graphs show the number of credits gained from all years towards Level 1, 2 and 3. The row bellow shows just the credits from this year. In the first graph above it shows all of the students who have passed Level 1 at Achieved, Merit and Excellence. 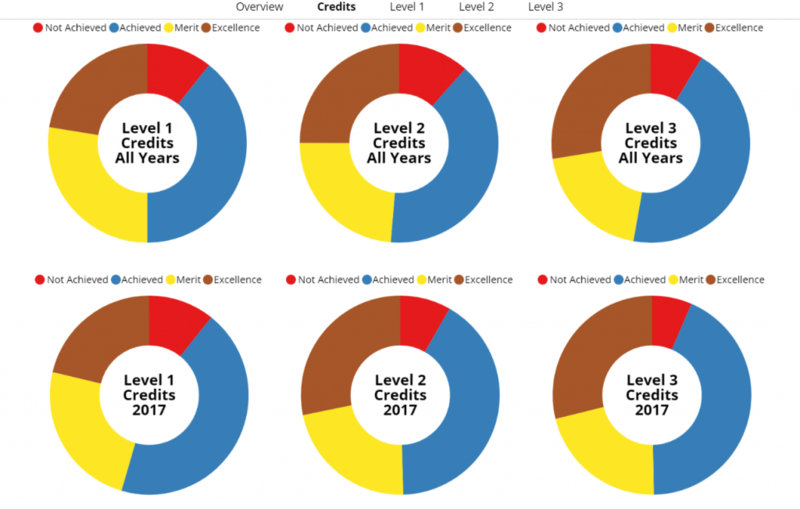 The top middle graph shows the Level 1 credits passed from all years, and the top right shows credits from just the current year. The bottom graphs show the number of students in the different brackets for Achieved, Merit and Excellence credits. Hovering over each area brings up a list of students if applicable.